Finally, the Trustees of retirement fund body Employees' Provident Fund Organisation (EPFO) have approved the proposal to provide a monthly pension of minimum Rs 1,000 to all the members, a decision that will immediately benefit all the concerned pensioners. Presently, there are about 44 lakh pensioners. Out of this, 27 lakh get less than Rs 1,000 a month. Pensioners are expected to get benefit with effect from April 1, 2014. The Labour Ministry's proposal on giving a minimum monthly pension of Rs 1,000 under the EPS-95, run by the Employees' Provident Fund Organisation (EPFO), had been pending for a long time as the government would have to make fund provisions for the purpose. Now the Finance Ministry has approved the proposal for providing a minimum monthly pension of Rs 1,000 under the Employees Pension Scheme 1995 (EPS-95) run by EPFO. 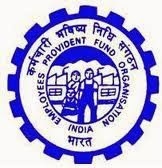 As per the directions of the Finance Ministry, the Central Board of Trustees (CBT), the apex decision making body of EPFO, also decided to raise the monthly wage ceiling to Rs 15,000 from Rs 6,500 by recommending an amendment of the EPF scheme, 1952, so that more workers can be brought under its various social security programmes. At present, workers getting basic wages, including basic pay and DA, of up to Rs 6,500 are covered under the ambit of EPFO. According an EPFO official, the labour ministry will soon move proposal before the Union cabinet for its approval for the Rs 1,000 minimum monthly pension. This new amendment in pension provision will pave the way for inclusion of many employees who were earlier omitted out of the benefits due to low level of eligible wages.